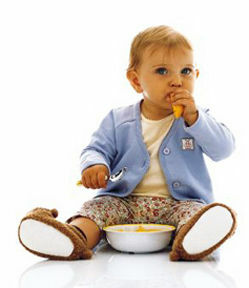 01.12.10 Nestle blasted over its unauthorized health promises in Juicy Juice line for children younger than 2. The Food and Drug Administration rebuked food company Nestle recently for misleading marketing of its children's boxed juice, Reuters reports. Every parent wants the best for his or her child, but it can get frustrating when food companies label packages inaccurately knowing that adults rely on that information to make the best nutritional choice possible. In a December warning letter, the FDA criticized Nestle's Juicy Juice line for claiming the Brain Development Fruit Juice Beverage "helps support brain development" in children younger than 2. Also, the letter said the labels on its All-Natural 100% Juice "may lead consumers to believe that the products are 100 percent orange/tangerine juice or 100 percent grape juice when, in fact, they are not." A Nestle spokeswoman confirmed that the company received the warning letter, adding that the company will "fully cooperate with the FDA in bringing this matter to a conclusion." What you use on and around your baby affects his or her health. From shampoo to clothing to food, read all ingredient labels and make sure the products are made from safe sources. Check out our tips on how to become a label sleuth when it comes to the products you feed and put on your baby. And remember: When your baby is ready for more than milk, feed him or her the most natural foods possible for a healthy start.